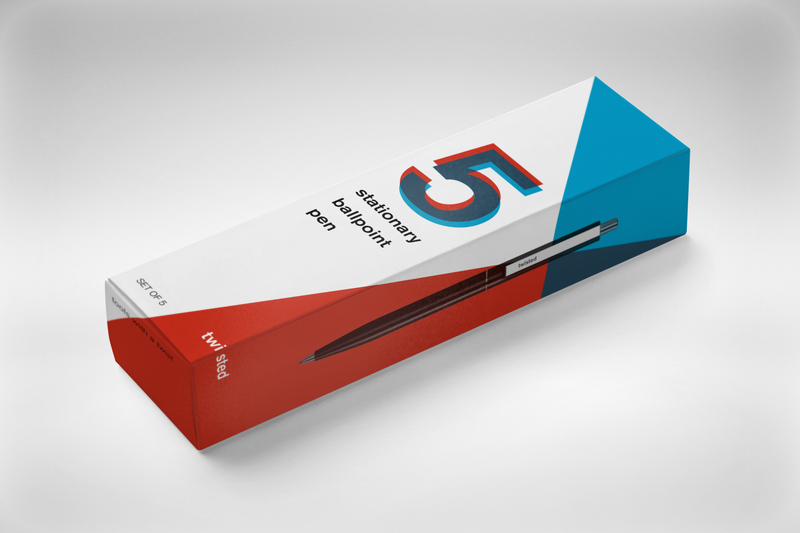 A packaging design created for a fictional company which would be selling office supplies that comes in five pieces in each package. 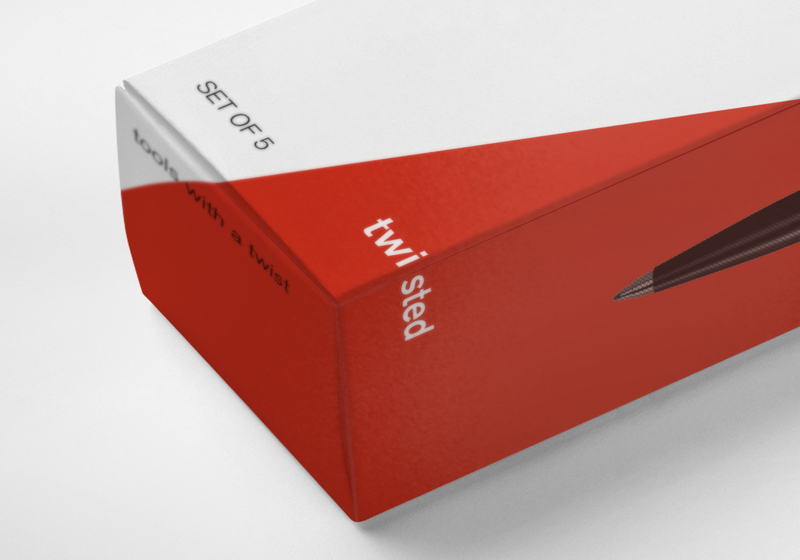 This package contains stationery ballpoint pen. 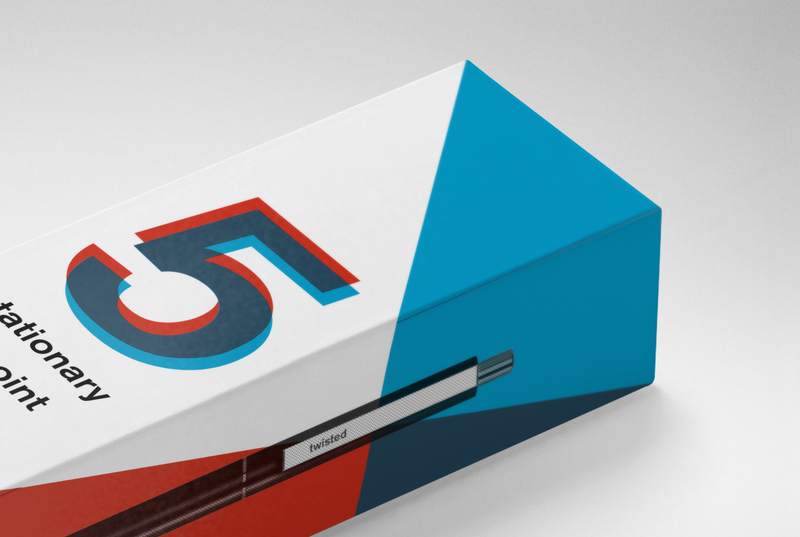 It is designed based on the graphic design style; Swiss Style.